Richly hued raised bed made from sturdy yet lightweight powder-coated steel complements your landscape and showcases plants. Extra deep to accommodate large plants. Lightly textured surface. Raised beds are easier to plant and tend than in-ground beds, with fewer pests and weeds. They warm up earlier in spring, too, so you can get a jump on the growing season. 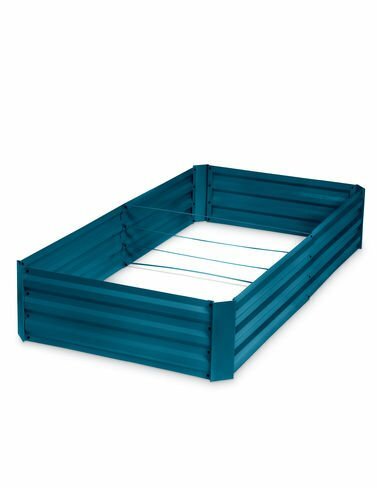 Richly hued raised bed made from sturdy yet lightweight powder-coated steel complements your landscape and showcases plants. Extra deep to accommodate large plants. Lightly textured surface. Raised beds are easier to plant and tend than in-ground beds, with fewer pests and weeds.